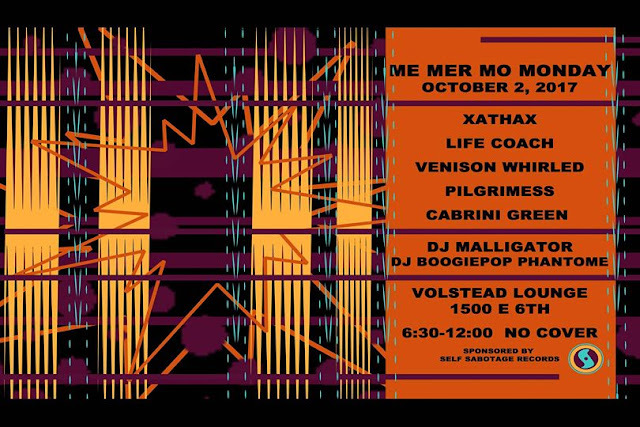 Pleased to announce my next upcoming show at Me Mer Mo Mondays at the Volstead on October 2nd! 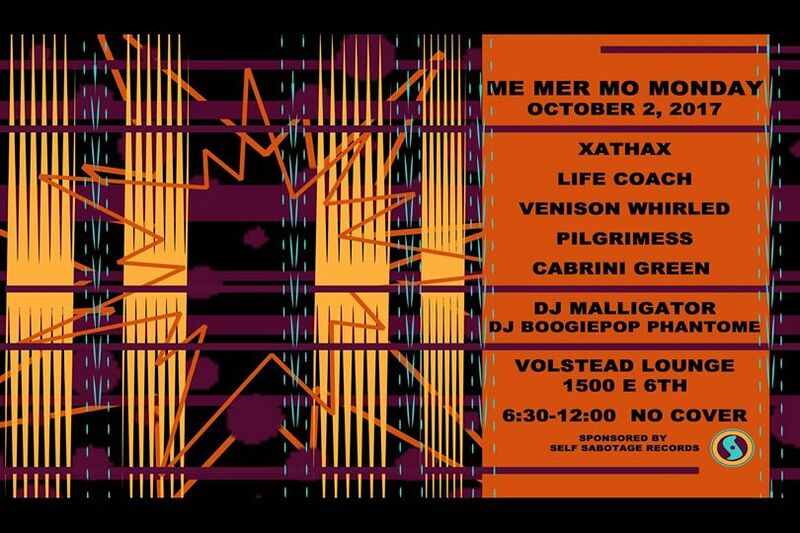 And to mix it up for the experimental vibe of Me Mer Mo DJ Peppermint will be joining me on the 1's and 2's! Sponsored by Self Sabotage Records! **Good news food fans. The Volstead/Vegas food truck is now open on Mondays and every Monday they offer buy-one-get-one-free burgers.